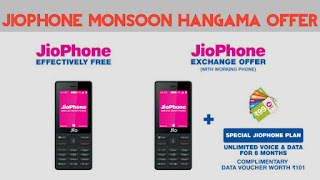 Home / jio / JioPhone / JioPhone Monsoon Hungama Offer Kya Hai / JioPhone Monsson Hungama Offer Terms And Conditions / JioPhone Monsoon Hungama Offer Kya Hai? 501 Me JioPhone Kaise Kharide? JioPhone Monsoon Hangama Offer Terms And Conditions? JioPhone Monsoon Hungama Offer Kya Hai? 501 Me JioPhone Kaise Kharide? JioPhone Monsoon Hangama Offer Terms And Conditions? JioPhone Monsoon Hungama Offer Kya Hai? JioPhone Monsoon Hungama Offer Hindi Details? JioPhone 501 Me Kaise Kharide? JioPhone Monsoon Hangama Offer Terms And Conditions? JioPhone Monsoon Hungama Offer Special Recharge? JioPhone Monsoon Hungama Offer Aaj Saam 5 Baje Se Shuru Ho Jaega. To Agar Aap Bhi Apne Purane Button Wale Mobile Ko JioPhone Se Badalna Chahate Hai To Aayiye Jaan Lete Hai Isi Ke Baare Me. Or Sath Hi Company Ne Naye Special Recharge Plan Bhi Nikale Hai To Aayiye Detailed Me Baat Karte Hai JioPhone Monsoon Hangama Offer Ke Baare Me. JioPhone Monsoon HanHung Offer Kya Hai? JioPhone Monsoon Hungama Offer Ke Tehat Aao Aapna Purana Button Wale Feature Phone Ko 501-/ Rupay Me JioPhone Se Exchange Kar Sakte Hai. Or Sath Hi Ye 501 Rupay Bhi 3 Saal Baad Aapko Bapas Mil Jaenge. JioPhone Monsoon Hungama Offer Term's And Conditions? Yaha Par Me Baat Krunga Ki Kaise Aap Apne Purane Button Wale Feature Phone Ko JioPhone Se Badal Sakte Hai. 1. 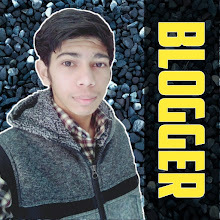 Pichle 3 Saal Me Agar Aapne Koi Bhi Button Wala Feature Liya Hai To Aap Use Badal Sakte Hai. 2. Koi Bhi 2G/3G/4G(Non-VoLTE) Phone Ko Badla Ja Sakta Hai. 3. JioPhone Ya Koi Bhi CDMA Device Ya Kisi Operator Ki Locked Device Ko Exchange Nhi Kiya Jaega. 5. Purana Phone Working Condition Me Hona Chahiye. 6. Aapko Apna Aadhaar Card Leke Jana Hai. JioPhone Monsoon Hungama Offer Special Recharge? Ye Plan Keval JioPhone Ke Liye Launch Kiye Gye Hai. Or Sath Hi Exchange Offer Ke Tehat Jo Bhi Phone Exchange Karte Hai Unhe Free 6 GB Data Ka Special Exchange Bonus Diya Jaega. Jiski Regular Price 101 Rupay Hai. ● User Ko JioPhone Exchange Ke Smaay 594 Rupay Ka Recharge Karana Hai Jiske Tehat Aapko 6 Mahine Ke Liye Unlimited Voice Call Or Data Diya Jaega. ● Agar Or Plans Ki Baat Kare To Pehle Se Hi Market Me 2 JioPhone Recharge Available Hai. ● Pehla Recharge 49 Rupay Hai. Jisme User Ko 1GB Data Pure Mahine Ke Liye Or Unlimited Calling Ki Suvidha Milti Hai. Dura Recharge 153 Rupay Hai Jisme User Ko Daily 1.5 GB Data Or Unlimited Voice Calling Hai. Aapko Bta De Ki 15 August Se JioPhone Me Facebook, Whatsapp Or YouTube Jaisi Apps Bhi Chala Karengi. Agar Aapko Hamara Post Helpful Lga Ho To Isse Apne Friends Ke Sath Share Jarur Kare.